Tone has a number of important elements. Each of these can potentially be affected through the chain of events that takes place between fingers and speakers. This article looks at the events and components and the varying ways in which they can affect tone. Some components have been consciously ignored. The precise workings of amplifier tone controls, guitar tone and volume controls, the effects of room acoustics and the deliberate changes to tone produced by effects devices. Tone and volume controls are used to make temporary changes rather than to set the range of tone available. Effects devices are so varied that they cannot be covered and would anyway not be appropriate here. Room acoustics are simply too difficult and expensive to change in most circumstances. a beautiful cathederal of sound or an awful din? The first part of the note. The volume increases until the string vibrates with maximum amplitude. Higher frequency notes, whether the fundamental or harmonics reach their maximum amplitude more quickly. Sustain is the ability of a note to be continued at a volume close to the maximum, postponing or lengthening the decay phase. Subsequently, the amplitude (volume) gradually decays. The vibrations reduce due to losses of energy, caused by friction, both within the string and between the string and air. If a string was 100% elastic and in a perfect vacuum, it would vibrate forever. Harmonics are additional notes that occur together with the fundamental note being played. They are generally related frequencies e.g. Octave overtone has double the frequency of the fundamental. Picking affects the attack of a note. A softer picking action tends to lengthen or soften the attack. Fingers can be used to change the harmonics by pinching to emphasise the octave or another harmonic while suppressing the fundamental, or partial muting. Vibrato can be used to increase sustain. Alternative techniques such as tapping also have their effect on attack and harmonics. Most harmonics are produced by the initial string vibrations that occur at many related frequencies as well as the fundamental note. The string doesn’t vibrate with a single frequency (note) but also with many related (harmonic) frequencies. String materials, gauge and construction all have an effect on tone. 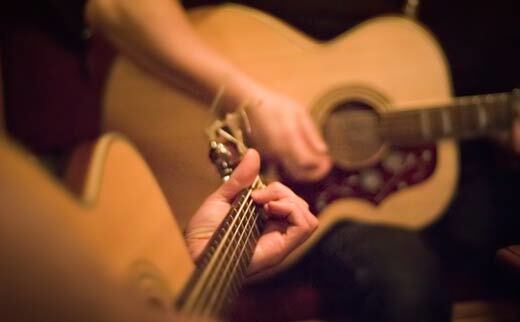 Strings can affect all the key elements of tone. 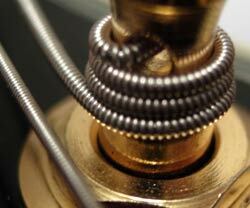 A common example is that worn, old strings sound dead, this is because they are stiffer and reduce overtones, particularly higher frequencies. Two main factors are important, quality and size. Better (also newer) strings are more flexible and produce richer harmonics. Heavier strings do the same and can also increase and improve attack and sustain. Different string materials and construction also emphasise different frequencies. E.g. Nickel wound steel strings are brighter than pure nickel strings. Lighter strings will have a faster attack but also a shorter decay with reduced sustain. They will also have less volume. The Tone Chain has an overall frequency response that colours the sound eventually heard. It is made up of the combination of the individual frequency responses of each element. This modifies the harmonics by emphasising some frequencies more than others. Indirectly, this affects attack. Infinite sustain is generated by using harmonic feedback. Harmonic feedback involves feeding back of energy from some point in the tone chain to an earlier one. Provided the frequencies being fed back are in harmony with the fundamental note, you have harmonic feedback. Harmonic feedback covering the entire chain is created when the air movement of the sound is sufficiently strong to cause movement of the strings and guitar relative to one another. Sustainer devices short circuit the entire process, creating a much shorter feedback loop. It is possible but not practical to achieve infinite sustain depending on how unsuited your tone chain is. The less suited your tone chain, the more volume you need. A tone chain suited to producing infinite sustain is one that can do so at relatively low volumes across the whole range of notes played. You can use any or all of the elements of the tone chain to try and get exactly the tone you want. All guitarists have some limitations on their ability to change tone through playing technique. Jeff Beck may be exceptionally good at altering his tone through his playing style but I am not. If you can’t achieve the results you want, you can replace any of the major components of the tone chain. Most guitarists have more guitars (and more pickups) than amplifiers or speakers. Each element of the tone chain was designed in the context of the overall chain, knowing the effects of the other elements. This is of critical importance. Transparent elements have often been discussed, particularly for pickups, amplifiers and speakers. Making any one of them entirely transparent would require radical redesign of the other elements to compensate. If you want to change all of your tone for all of your guitars, you should probably look at your amplifier(s) and speaker(s). While speakers may be cheaper than amplifiers, the range of variation is much smaller. If you want slightly more warmth or a modest improvement in articulation across all sounds that you use, speakers are likely to provide a good solution. If, however, you want more warmth in clean sounds and better articulation in distorted sounds, changing speakers won’t help. 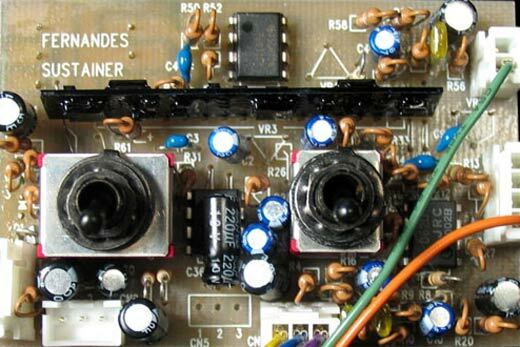 Adjusting or changing amplifiers might. If you only want to change the tone for one or two guitars, you should look at the guitars and their pickups. Unfortunately, you can’t do very much with the guitar other than replacing it. Changing the body woods or fretboard doesn’t often make sense economically and because of the limited effect it has, you won’t be able to make a major tonal adjustment. You can achieve far more radical changes to tone by replacing the pickups. Not only are the pickups responsible for more of the tonal colouration but the range available is very wide. Even within a restricted brief such as vintage PAF style humbucker, there is a huge choice with a multitude of variations. If there is a single problem that causes more grief than any other, it is trying to identify the correct pickups for the tone you want. Future articles will look at this and other pickup related topics in more detail but in the meantime, hopefully this article has given you more insight into tone and how it can be modified. Next up is: The Tone Chain, Part 2 – the influence of Guitar Construction and Amplification. Followed by The Tone Chain, Part 3 – Guitar Pickups. 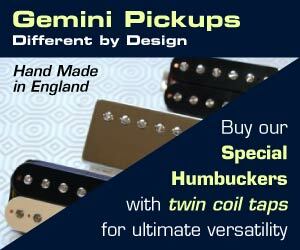 Articles written by Mike Rose of Gemini Pickups. Please leave any comments and queries below! About strings: A never ending story – but: What kind of brands are really good? Sadly, I’m not a strings expert. If I was, there’d be a whole article about strings. I tend to stick to nickel plated round wound. I mostly use D’Addarios. I suspect most of the major manufacturers are good enough quality whereas some of the cheap strings certainly aren’t. D’Addario produce the gauges I want to use, 10’s, 10.5’s and 11’s depending on scale length. I get similar tension on all my guitars, plenty of mass and good tone. A plus can (no – must) be a upgrade of bridge and saddles.